The youthfully-styled C3 Picasso has evolved into an excellent small MPV, and for 2013 it receives more small updates that keep it fresh. 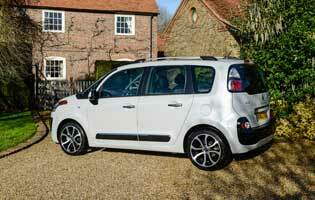 The one larger change is under the bonnet, with a new version of the Peugeot-Citroen 1.6 HDi diesel. 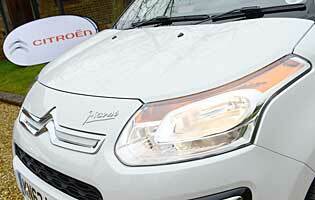 It's quieter, smoother and more efficient than ever, with a whisker more power as well. 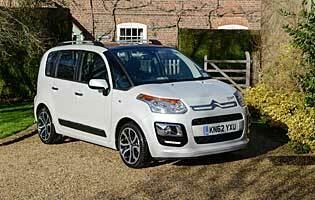 With downsizing the key theme of recent years, the C3 Picasso has emerged as a stylish and fun-looking small family car that appeals to a wide gamut of buyers for its charm and healthy mix of driving manners, practicality and user-friendliness. It's distinctive from its rivals in both its looks and the reputation it has accrued over the years. The revised engine fitted to this version is the latest development of an engine that can trace its roots back to the middle of the last decade. When it was first released it was noted for being especially quiet, and over the years it has become even more so. With its new updates it's among the quietest diesels anywhere. Its size and five-seat layout mean that its main target audience is young families, who want the practicality of a raised seating position and a higher roof line in combination with ease of use around town and a simple choice of excellent drivetrains and optional extras. To keep its style fresh this model features extra chrome-effect trim details. With this C3 Picasso Citroen maintains its connection with panoramic sunroofs, with a large glass roof panel giving this model a much lighter, airier feel than it would otherwise have. It's especially beneficial to rear passengers, who get a much better view of the world outside, like tower buildings, overhanging trees or the night sky. 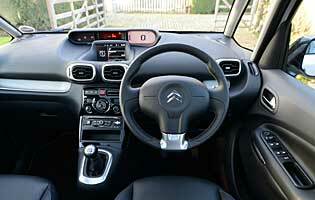 The C3 Picasso is designed with the key simple things in mind, and does an excellent job for young families. Its outward flashiness contrasts with its interior practicality and superb new engine to create a package that manages to feel worth more than the sum of its parts. Some cabin materials are not as expensive or classy as in some alternative cars, but the Picasso gets the important things right.